The Prizes are sponsored by CAF – Development Bank of Latin America -, and Softland, and supported by CNN en español, Iberia, Cinco Días and Casa de América. The overriding aim of the Prize for Economic Journalism in Asia is to increase the flow of economic information between Asia and the Latin America region in order to forge closer economic links and interests. More than 200 articles from 60 different media organizations in Asia were submitted and the winners were chosen for their depiction of how global trends are impacting the spending power of Asia. 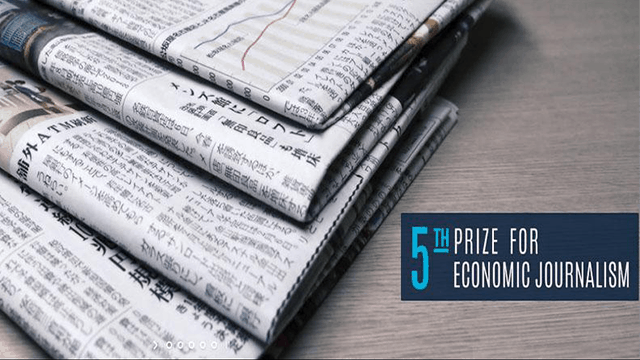 The awards in this fifth edition of the IE Business School Prize for Economic Journalism in Asia go to the authors of articles from The Straits Times of Singapore and Forbes of China, and to South Korea-based media Maeil Business Newspaper. Lydia Lim of the Straits Times of Singapore for “What to do about robots and artificial intelligence”. Kang Jian of Forbes of China for “China’s Latin American moment”. The three prizes will be awarded on April 19th, 2018 at the Casa de America Palace in Madrid, Spain, along with those corresponding to the seventh edition of the Prize for Economic Journalism in Latin America.